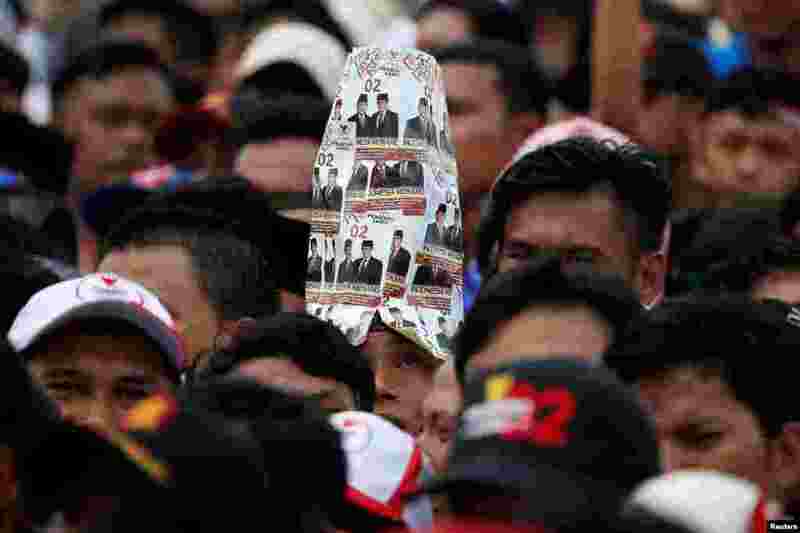 ١ A supporter wears a hat made of pictures of Indonesia's presidential candidate for next month's election Prabowo Subianto and his running mate Sandiaga Uno, during a campaign rally in Bogor, West Java province. 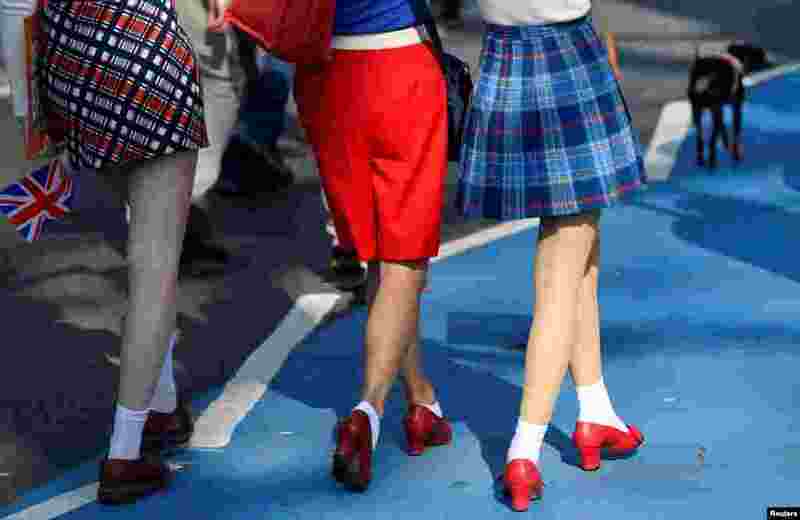 ٢ Pro-Brexit protesters take part in the March to Leave demonstration, in London, Britain. 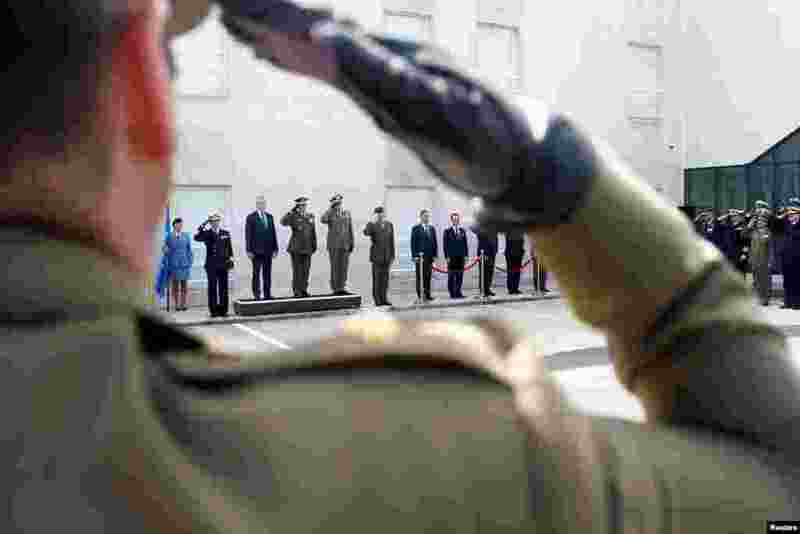 ٣ Members of the European armies listen to the European Union anthem during the transfer of authority of leadership of the European Union Atalanta Operation from UK to Spain, at the naval airbase in Rota, near Cadiz, southern Spain. 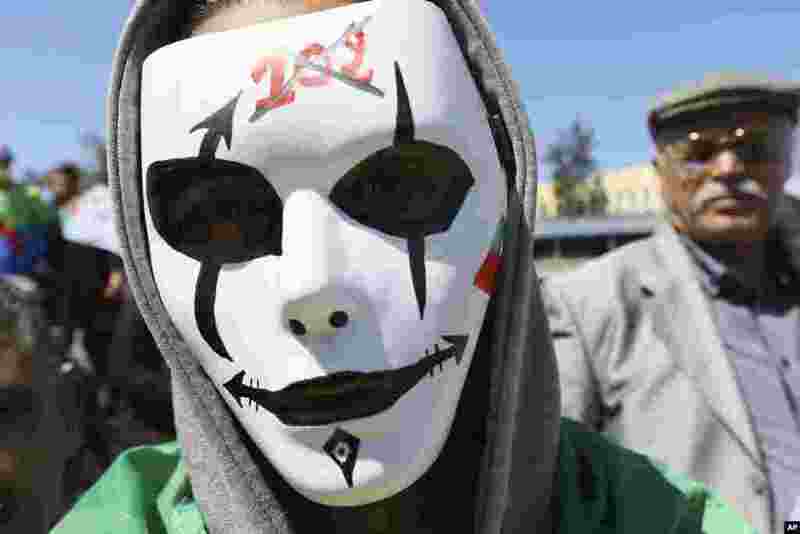 ٤ A demonstrator wears a mask with signs on it referring to Article 102 of the constitution, which paves the way to ouster President Abdelaziz Bouteflika, during a protest in Algiers, Algeria.